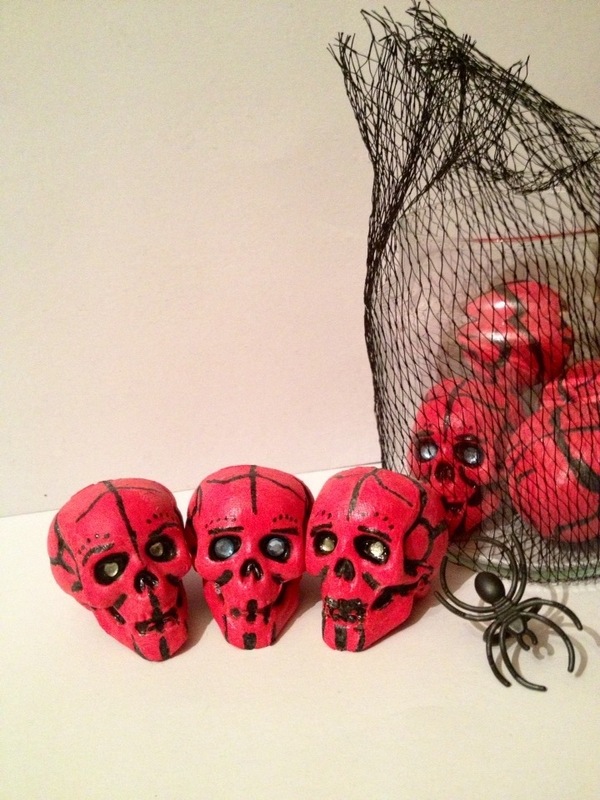 I had these old plastic skull Halloween decorations that looked a little less than spooktastic so decided that instead of showing them to the trash I’d give them a little TLC. 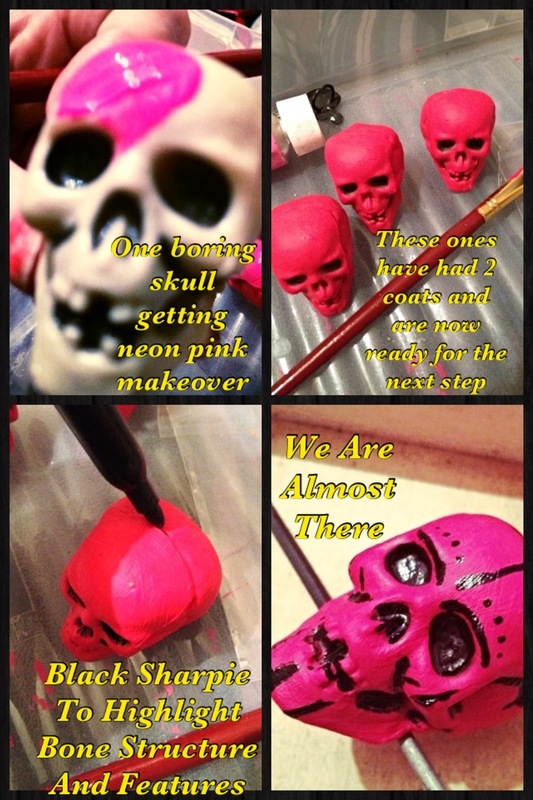 First I painted all my boring skulls a Fluorescent neon pink (total of two coats, leaving to dry fully in between). Then I used my sharpie permanent marker pen to highlight and add bone structure and additional features. 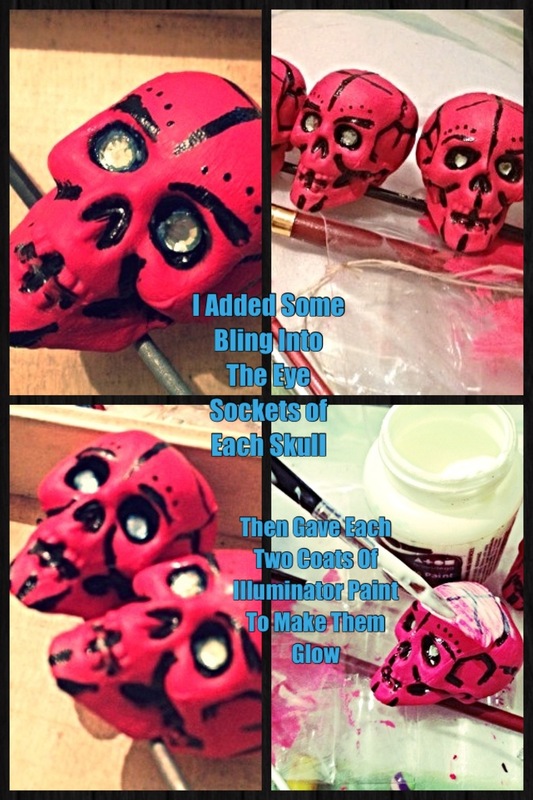 Once complete I used a good strong Mosaic adhesive to add some bling into the eye sockets of all skull. As you can see some got blue gems others got green, some even got heart gems making them more a sugar skull than a scary skull. Be sure to let dry a few hours in between coats or you will cause the first layer to go funny. 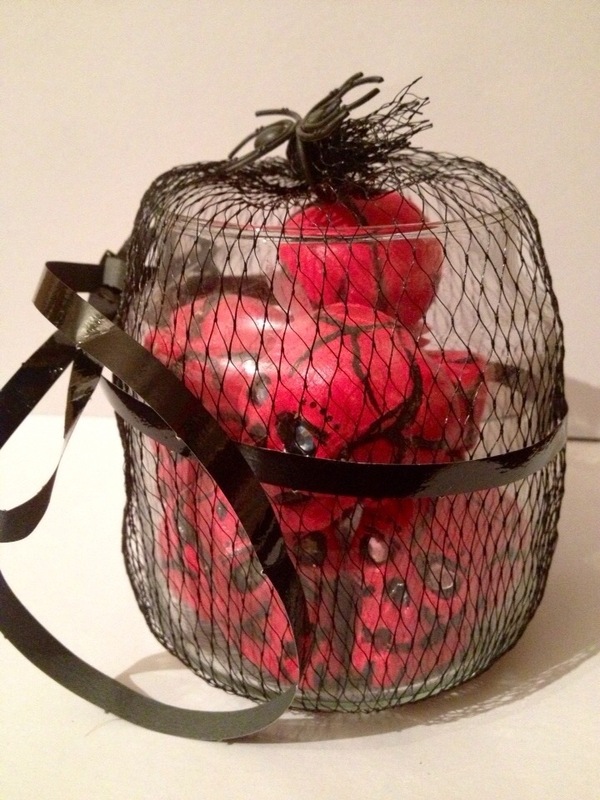 Once fully dried I carefully arranged them into my jar and covered it with the black netting. I secured the netting by twisting it and adding a little spider ring. To finish I added my black curly ribbon. These are UV reactive and will glow in the dark (charge with a UV torch). 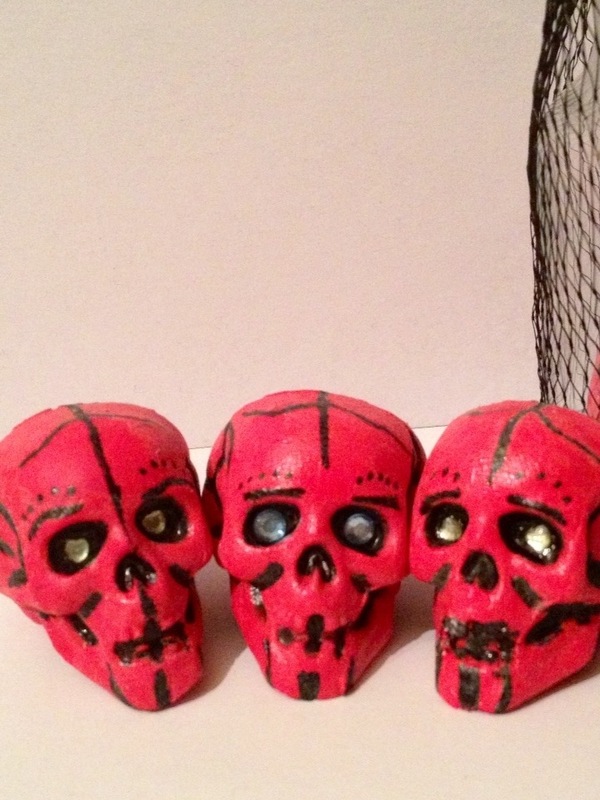 The skulls are available in my etsy chic collective store. I made one for myself and one for the store. Go grab it or have a try at making your own. 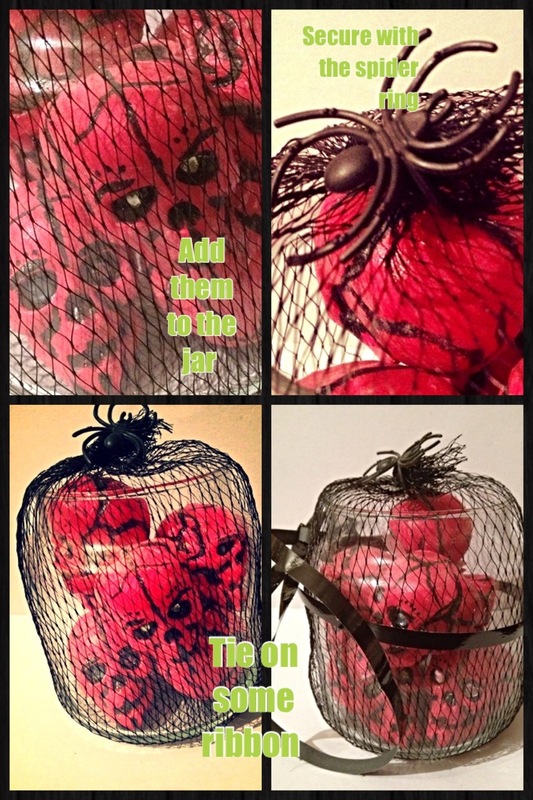 This entry was posted in Halloween and tagged Art, Chic Collective, etsy store, glow in the dark, Halloween crafting, Halloween decorations, hand painted, hand painted sugar skulls, Handmade, How Too, Jar craft, neon pink, Neon Skulls, spooky skull, sugar skulls, uv reactive by clairelouise82. Bookmark the permalink.